When it’s time to introduce your little one to food, the options can seem endless. 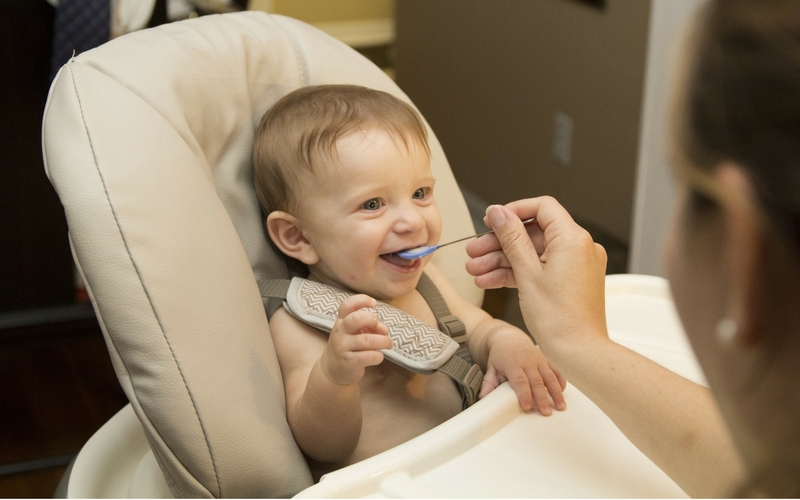 There are lots of methods for feeding infants. Some choose the purely puree route, while others take the baby-led track. You may even consider a combination of the two or look into homemade baby food recipes! When my son was about six months old, we introduced a few food items. We gave him a bit of avocado and banana, and he didn’t go for either. When we pureed some sweet potatoes, though, he was all in. I quickly became a fan of purees. The options for flavors and combinations seemed endless, and it was fun to experiment. 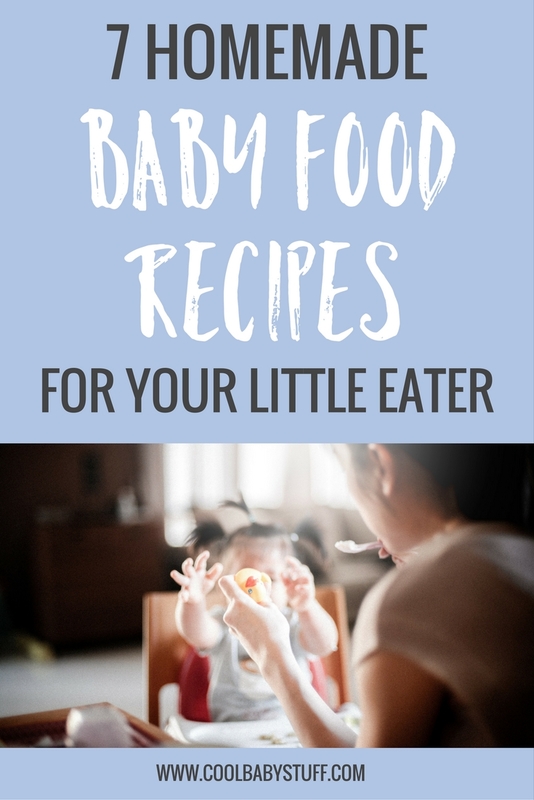 You can buy some great baby foods, but it’s also a great idea to make your own homemade baby food recipes. I recommend investing in a few items before getting started. For storage, you can buy silicone trays that will hold and freeze your baby food for easy use. Or you can buy a set of small jars or containers to make large batches of homemade baby food recipes. Finally, as you move into the pouch-stage with your kids, these reusable food pouches are perfect for on-the-go snacks. Grab your blender or food processor, and try one of these homemade baby food recipes! If you’re still looking for a baby monitor for your little one, here are the 3 best video monitors according to parents. This sounds delicious, even for my own breakfast. If you want to get a bit more adventurous, try this perfect breakfast option. This would be excellent on a cold morning! This recipe calls for the ever-helpful Baby Bullet. If you don’t have one, don’t worry. A blender should do the trick! Doesn’t a peach and banana puree sound perfect for a summer lunch? If you’ve jumped on the Instant Pot train, this is a great recipe for you. With just some sweet potatoes and a bit of liquid, you can quickly make a big batch of baby food. If you don’t have the amazing Instant Pot, you could simply bake or boil your sweet potatoes before mashing. Enjoy! I’m not a huge fan of beets, but if you’re going to eat them, mashed with blueberries is not the worst way to go. Your little one will dive right in. Make sure you’re all covered – the splatter effect with this bright red color could be a messy one. Get your veggies in with this green and easy puree. The recipe is simple and versatile – what more could you ask for? When baby is a bit older, blend up some cooked butter beans. This option is filling and tasty, and you can get adventurous with add-ins! Okay, you can’t add anything and everything, but you can add a lot to apple sauce. These easy applesauce recipes are great for your baby, as well as your toddlers! Eat at home or fill up those reusable pouches for an outing. Baby food doesn’t have to be stressful or boring. Try some of these recipes or lots of other options out there. Give your little one some healthy, tasty purees, and have fun with the process. Jess Lyons is a wife, mom, and Resident Director to 100+ college students. Her days are filled with dorm events and bike rides with her family, and she loves the overlap of it all. In her free time, you can find her reading a book or enjoying good food with friends.